Carola’s bright coloured mirror art is about influencing your mindset. Her innovative Happy Reflection Portraits™, which is her blueprint, can be used as a self-reflection tool. By looking into a Happy Reflection Portrait™ you can literally see yourself through the eyes of a person who inspires you, a role model. In this way you can influence the way you look, think and feel about yourself, which results in becoming a happier person! 31 x 31 x 3.4 cm / 12.20 x 12.20 x 0.7831 inch. 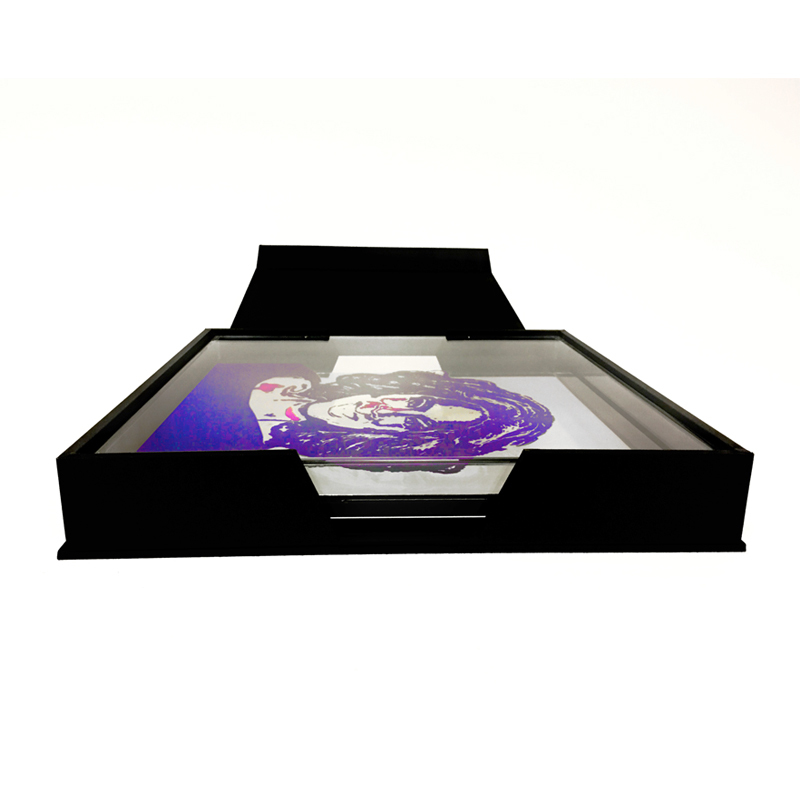 Framed in a luxury handmade acrylic frame. 31 x 31 x 1,5 cm / 12.20 x 12.20 x 0.78 inch. By seeing yourself literally through the eyes of Beyoncè and reflecting yourself in this amazing woman, you are able to change the way you think & feel about yourself positively! Enjoy your journey with the Happy Reflection Portrait of your choice. Start to experience Happiness today! One of the most successful artist of all time and a universal symbol for female empowerment worldwide. Queen Bey, argues that the income gap between genders wont go away without cooperation from both men and women. Long ago a trio of provocative, vocally talented and empowering female singers known as Destiny’s Child came to power and poise with singles like “Independent Woman” and “Survivor,” telling women to stand up and dominate. She tells you life is but a dream, because everything and anything can happen in a dream if you believe in yourself.